SAVING GRACE has been out a few weeks so I thought I would clue you in on some of the background. The driving force behind the book is how the media can be manipulated by internal and external influencers. Don’t worry the book isn’t a fake news rant but I was inspired by real world events over the last decade. MYSTERY FANFARE asked me to write something for him, so please enjoy The Flexible Truth. Hey, I have a job for you. 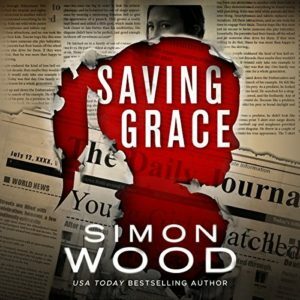 SAVING GRACE is out and I need your help with a simple five-step assignment. 1. The first rule is Buy the Book. I know it’s a given, but if you want to keep your favorite writers in business, you have to buy a book. 2. The second rule is to borrow the book from the public library (and I bet you thought I was going with the ‘buy the book thing’ again). Library book sales are good for the writer. 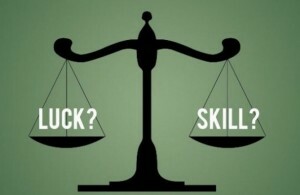 They provide a backbone of sales that can make or break a writer’s next contract. Even if you’ve bought the book, still go and borrow it from the library and if the library doesn’t have it, request it. This helps not only the writer, but also the libraries. Increased demand ensures libraries stay open. 4. The fourth rule is to tell a friend. Word of mouth is gold. 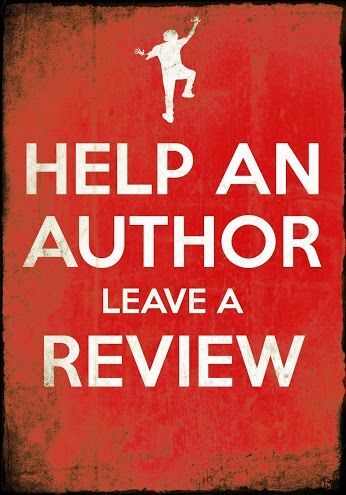 If you like the book, tell someone about it. It’s not a national secret. 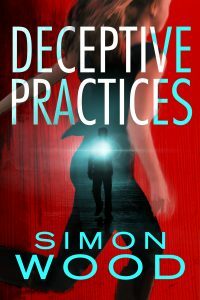 My DECEPTIVE PRACTICES blog tour has taken me far and wide…cyber speaking. Here’s some of the places it’s taken me to. Please enjoy! Jungle Red Writers – I discuss looking for strange in the world. Femme Fatales – I discuss having a curiosity for the weird. Mystery Readers International – I discuss the new book and divine intervention. 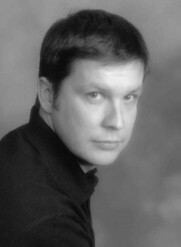 The Big Thrill – an interview. 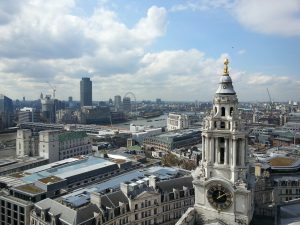 Donna Warner – I discuss being a bit of a Walter Mitty. Just Talking Books – Review! My frustrated DJ is emerging and as I’ve done with my last few books, I’ve created a playlist for my heroine Olivia Shaw from DECEPTIVE PRACTICES. Olivia’s playlist is pretty dark as she’s a woman under the gun, not surprising considering her clear and present danger. 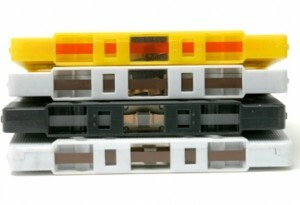 This mix tape is the kind of thing Roy at Infidelity Limited would send her just to unsettle her that little bit more. If you’ve read the book, these songs will make a lot of sense and if you haven’t, it should give you an inkling as to what to expect. 5. “Pound Of Flesh” – Regina Spektor. I’m still on broken wrist hiatus, but fellow author and all round nice person, Alan McDermott, put me in the interview chair just before the accident, so please check it out here. And while you’re at it, check out one of Alan’s books too! No regular piece because I’ve been playing away from home. 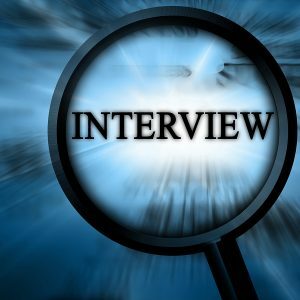 Fellow author and all round nice person, Jennifer Jaynes, put me in the interview chair recently about my writing life, so please check it out here. And while you’re at it, check out one of her books too! Going back to the UK hasn’t been easy for me in the past. Each visit has been a tough reminder that the country had moved on without me. I found myself homesick for a time and place that no longer existed. So I would return to the US a little heartbroken and depressed. It’s the reason I hadn’t been home in over nine years. So it was with a large slice of trepidation that I went back this month. 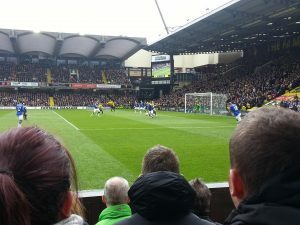 I had to return to take care of some legal matters that I’d been putting off for a number of years, but I decided to make the most of the visit by taking in a Watford game now that they’re in the premier league and attending the London Book Fair. It was also a chance to catch up with friends and meet up with my little sister for a joint birthday catch-up. Despite a three year age gap, our birthdays are only days apart. There was also room to do a little sightseeing. Some things hadn’t changed. Weather was as changeable as ever, managing to shift from sunny to rain and back again in a matter of hours. There’s nothing like going out for the day with sunglasses and an umbrella–and needing both. Going to a footie game was just the same when I went as a kid. Thousands of people walking to the stadium, picking up a program book from a street vender and grabbing a bag of chips from a chippie on the way. Ticket prices might change but the vibe won’t. Good to see the Tube hasn’t changed and London in general, despite a ton of redevelopment. Friends were the same and I didn’t realize how much I missed them until I had to say goodbye again. 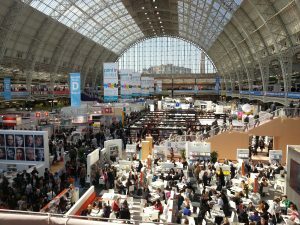 The London Book Fair remains a baffling and overwhelming experience. And my God does the country feel overpopulated in comparison to the USA! A lot had changed too. My hometown had changed massively. There’d been a ton of redevelopment. Road systems changed. My neighborhood is virtually unrecognizable. Familiar landmarks repurposed or replaced altogether. The greatest change was my mark on my hometown. Both my colleges are gone. Five places I worked no longer exist. The roundabout/underpass at the center of Slough filled in and turned into a complex crossroads. It was as if my origin story was being erased. I felt like Steve Rogers, aka Captain America, where everything that defined me was gone. If Cap needs to have a drink with someone who understands, I’m available. The biggest change of all was me. After eighteen years in the US, I’ve let go. I’ll always be English, but I have lost my connection to my homeland. America is my home now. The England of my upbringing doesn’t exist, other than in my head. I’ll miss things and people and there’ll be things I’ll always identify with, but I have no need to be there. For the first time, my trip was a pleasant one–one without regret or sadness–but I have no reason to return. I have no idea if or when I’ll go back. And you know what? That’s okay. England has moved on…and so have I. A friend sent me this cartoon a few weeks ago and it made me laugh, but it burned a little bit too. Exposure is the E-word of the writing world. 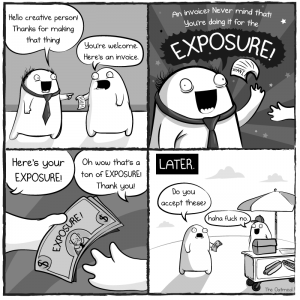 “We pay in exposure” is an all too familiar phrase that’s always heartbreaking to hear. It’s heartbreaking because you’ve put a ton of time into writing a book or story, working on your craft, and building your skill set, just to hear someone tell you that’s all great, but I’m not paying for it. It puts the writer in a tricky and awkward bargaining position. On one hand there’s a publishing credit up for grabs and on the other there’s obscurity. A fight breaks out in your mind. Yes, there could be a paying opportunity around the corner and maybe I should wait for it, but it doesn’t seem to be in sight at the moment, and this offer is, so should I give this one up and hope it leads to something…although it burns to give my work away…urrgghh… You see the writer’s plight. Yes, I gave stories to magazines and websites in the early years. The credit was worth more than the cash…well, that was my thinking/delusion. When I look back on everything, it’s hard to tell whether the exposure argument got me anywhere or not. I know it cost me a few times. I gave a couple of stories away that ended up being wanted by some very high profile anthologies which I lost out on because I’d given up first rights when I gave the stories away for exposure. Note to budding writers: you lose your first rights when you give a story away for exposure and that can be expensive in the long run. I think the issue with the exposure argument is that the writer is giving away something tangible (i.e. : the story/book) for something intangible (i.e. : exposure). And that’s where the heartache and soul searching occurs. You’ve put blood, sweat and tears into something and someone is effectively saying it’s worthless. Now, I will say no one that ever asked me to give them a story did it to rip me off. They were honest and well-meaning people who didn’t have a way of monetizing their endeavor themselves. A point came where I said to myself, exposure isn’t enough. Validity and legitimacy in what I write comes with a paycheck. I took the adage, “People don’t value anything they don’t pay for,” to heart. It became my hard and fast rule when I went full time as a writer. It might seem mercenary of me, but it has to be that way. I can’t afford to give things away now because the bills don’t get paid otherwise. Ask yourself, would you do your job if the employer didn’t pay? There are exceptions to the rule, such as charity related events, bookstore signings, etc. The thing I have to keep ever mindful of is–a day away from the computer is a day away from completing a book, so I have to be compensated for that. And you know what? Taking this hard line didn’t hurt me. 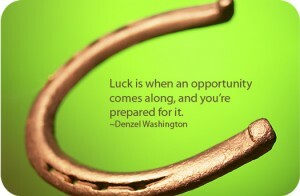 Yes, I lost some opportunities, but I gained new ones. At the end of the day, I can’t say I won’t give something away for exposure purposes but it will be a calculated risk that I can live with (and without bitching after the fact) and not a flight of fancy. Storytelling is a serious business as well as a creative pursuit. SHELF LIFE: That’s Weird…What’s That About? 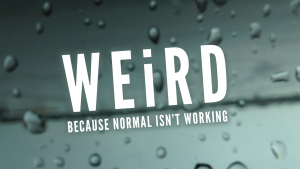 I’m drawn to weird—weird things, weird people, weird situations, etc. Some people (let’s call them normal folks) steer clear of it. Me, I’m fascinated and I want to learn more, know why it’s weird and what made it weird. 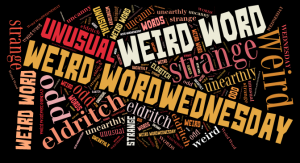 So what do I mean by weird? Well, I have a couple of examples. First, there’s Marilyn Hartman. She’s the serial stowaway from the Bay Area who has been trying to sneak onto planes around the country and in a number of cases, she’s managed it. What has me hooked on this continuing story—she’s done this over a dozen times at last count—is her reasoning. Her first claim was she wanted to go to Hawaii to die because she has cancer…but it turns out she doesn’t. Other reasons have followed which have been less cogent, such as she’s trying to shine a light on the mental health issues in America. Psychologists have evaluated her and her statements have changed so often that I feel she’s telling them whatever she thinks they want to hear. When she’s interviewed on TV, there’s a sparkle in her eye that makes me think she’s yanking everyone’s chain. So why is she doing it? God knows, but boy, would I love to interview her. There’s a reason behind this—and I’m not sure even she knows—but I’d love to find out. Second, there’s Malachi Love-Robinson. He’s the teenager who’s been arrested for practicing medicine without a license in Florida. What has me fascinated about this guy isn’t the crime itself but his persona (for the want of a better word). He’s very cool and controlled about wanting everyone to know he’s a qualified medical professional. Instead of cowering from the media, he’s taken control of it with press conferences and making himself available for interviews. What has me following the case is I can’t make out if this guy is a hustler or simply deluded. There’s something about him that feels like it’s a performance which doesn’t clarify the situation either way. When he talks about a team of lawyers working on his case, I kind of think to myself, really? I’m not sure lawyers would let you talk to the press this freely. Then again, this kid wasn’t operating out of the back of a pickup. He had a full on doctor’s office, so who knows? I don’t bear either of these people any ill will and can’t condemn them. I’m viewing both of these cases from afar without all the facts and it would be wrong of me to pass judgment. Courts and juries will decide these situations. For me, I just want to know the truth. The reason I like weird is because it inspires my fiction. The mundane and the ordinary don’t do it for me. I’ll take the improbable any day, and that is always at the weird end of the spectrum. It always throws up my two favorite questions—what-if and why!